Sitting area rep Julius Espat is also leaving no stone unturned, he too is covering the expansive constituency one household at a time. 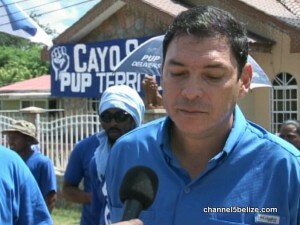 According to the People’s United Party deputy leader, the issues that voters are facing in Cayo South are fundamental. There is a lack of employment in the rural communities; there are no health clinics as well. That’s just to name a few. Espat says that his campaign this time around has been enlightening; it’s also different.